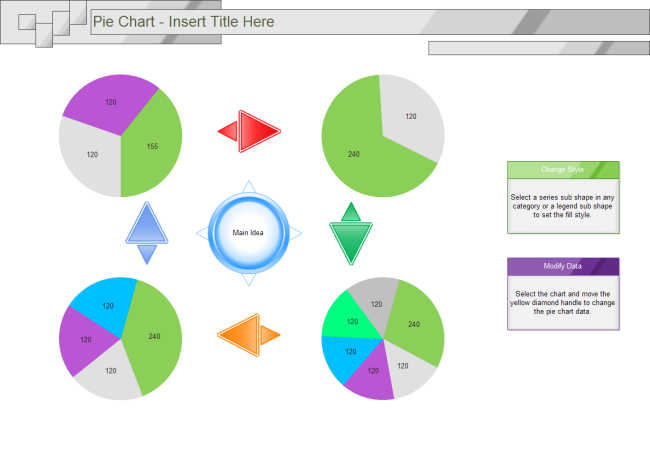 Description: A free customizable pie chart collection template is provided to download and print. Quickly get a head-start when creating your own pie chart collection. A collection of several pie charts together can be used to show comparison or the trend of changes of value.